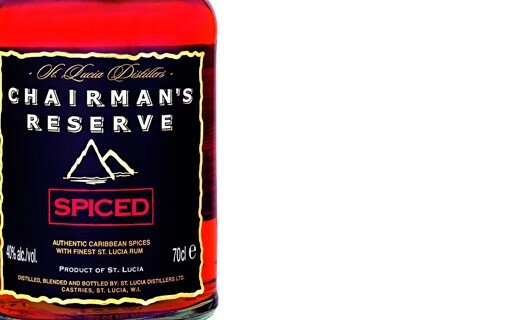 Chairman's Reserve Spiced rum comes from distillery St. Lucia Distillers. This spiced rum is produced by distillation still. The addition of spices during the process gives this rum taste amazing and unique. To get a special place, St. Lucia Distillers relies on the quality and diversity of these processes. Thus, the distillery can either use a continuous alembic as the pot stills - from Kentucky and Scotland. In addition, three different strains of yeast are used for the fermentation of the Chairman's Reserve rum. Soft and powerful in the mouth with a predominance of cinnamon, nutmeg and pepper, this rum extends in the mouth smoothly to finish with notes of vanilla and citrus. It is true that the place conquered by Saint Lucia (an island of 150,000 inhabitants in the south of Martinique) in the world of rum is unique in more than one way. Today, the company develops at least 22 rum based products, these are spicy, flavored syrups or cream, not to mention pure rum with two international references: Admiral Rodney and Chairman's Reserve.